Tennis / Volleyball net for your professional Aero battery trampoline. 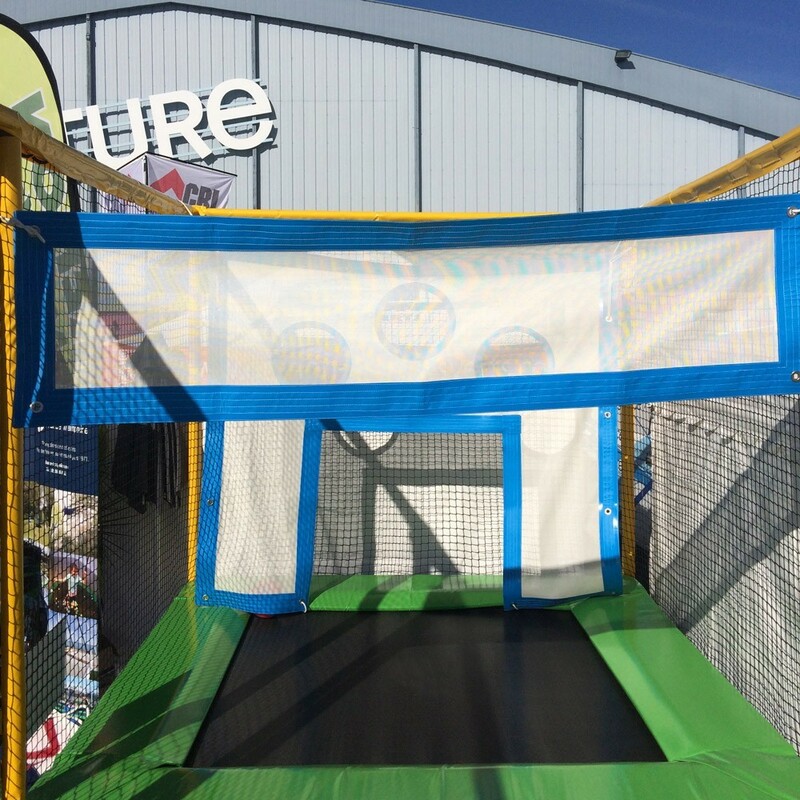 Offer more than just a playing area, transform your battery trampoline into a real sports field with this net that will allow its users to play tennis and volleyball games! - Adjustable volleyball/tennis net. Putting the net on the upper part you can use it to play a game of volleyball. You can attach it to the top of the posts. 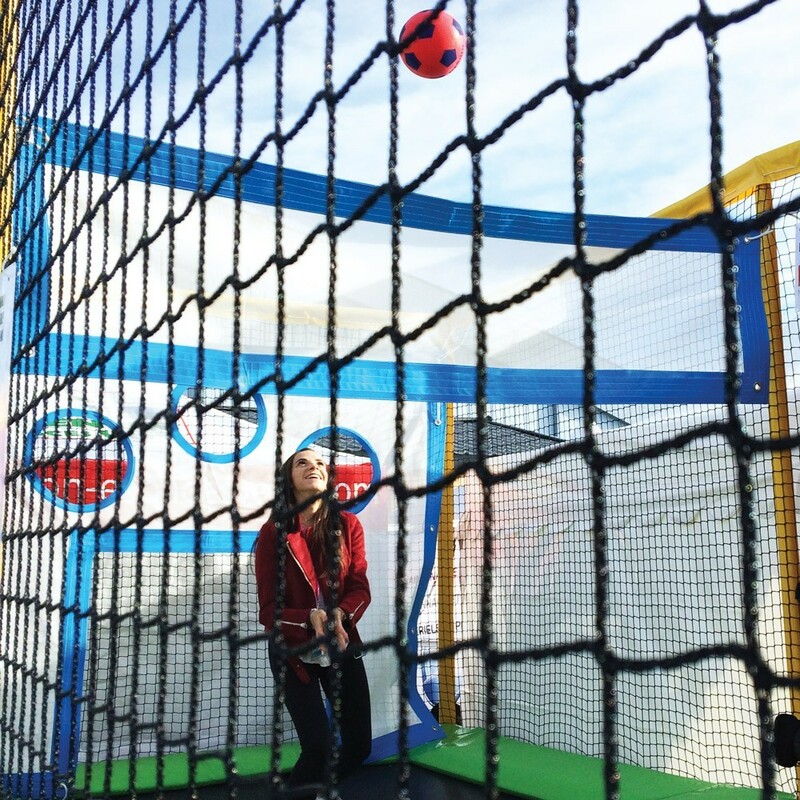 Putting the net at around 2.1m is an ideal height for adults to be able to play. If you prefer tennis, all you need to do is bring the net down a bit. - Designed for intensive use. Made from a tough multi-tramp mesh. the net will be able to support a frequent use for years, by adults as much as children! It is designed to equip frequently used professional trampolines. - High-frequency welded eyelets & reinforced edges. The net is reinforced around the edges with PVC bands 6 rows of seams: offering an unmatched resistance to tearing. - Easy to attach. You can attach your canvas using the provided elastics that connect the 4 eyelets to the posts of your trampoline. - Batteries of 2 to 10 trampolines. The tennis/volleyball net is suitable for battery trampoline with 2 to 10 jumping mats. It can also fit a professional trampoline that is not from France Trampoline. Feel free to contact our sales department to check its compatibility with your battery.